Hi everyone, have you tried Rinea Foiled Papers yet? 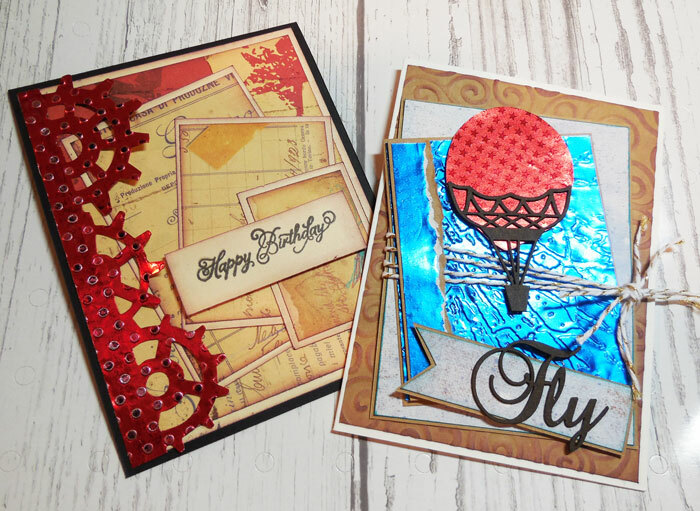 I've got 2 very different cards to share today using these amazing foiled papers. 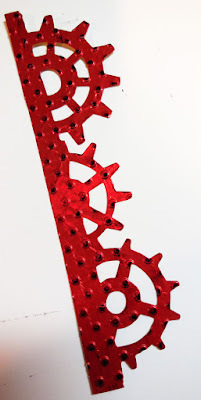 Needing a masculine birthday card, I die cut a border of gears from Ruby/Ruby Star Stuck Foiled Paper. Rinea Foils cut so easily - even the tiniest of details cuts precisely. Once I die cut the gears, I embossed them, then lightly inked the gears with brown ink. 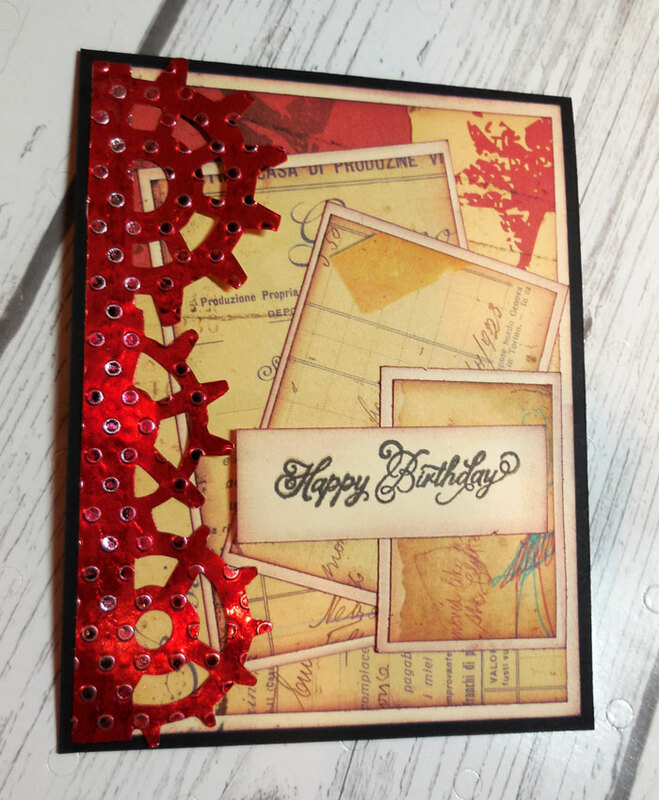 I used an assortment of 7Gypsies papers, distressing, then matting them with cardstock. I adhered the gears to the left side of the card. 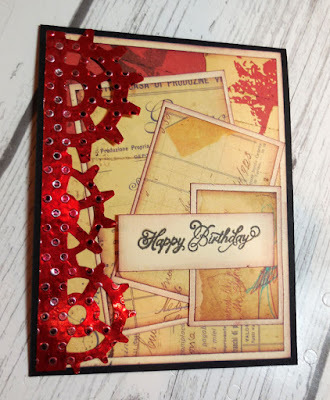 A simple birthday sentiment from Joy Clair stamps finished off the card. 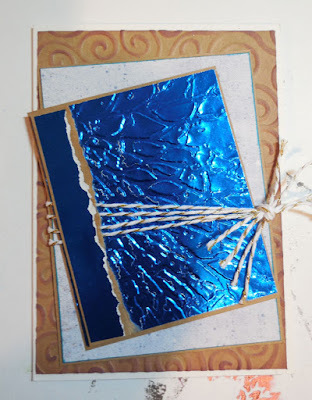 For my next card, I embossed kraft cardstock and lightly inked it, adding it to the card. Next, I cut Sapphire/Gold Glossy Foiled Paper and then embossed it to create a focal element. I matted the embossed panel with cardstock then adhered it to a larger panel. Whisker Graphics twine was wrapped around the panels which were then adhered to the card. 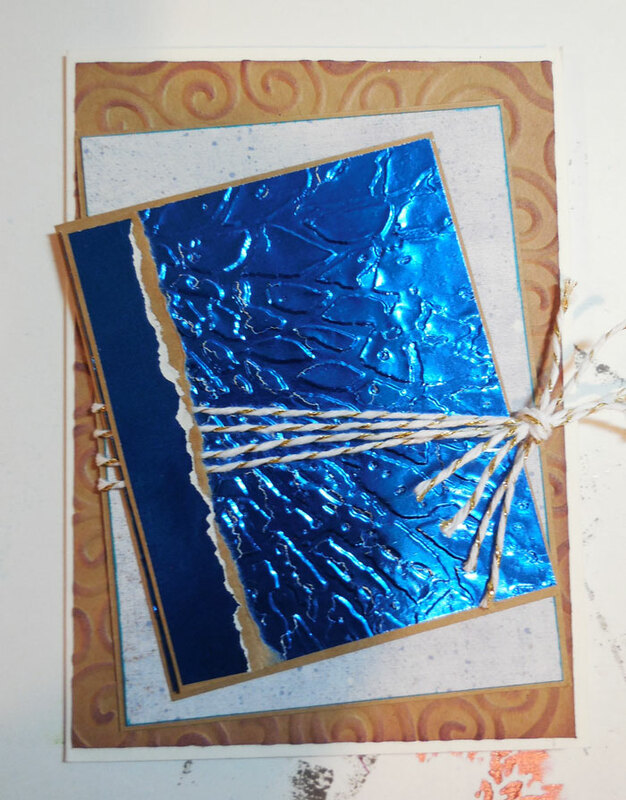 A torn strip of foiled paper was matted with cardstock and adhered on top. Using chipboard elements from the Robin's Nest, I inked each with Memento Ink. 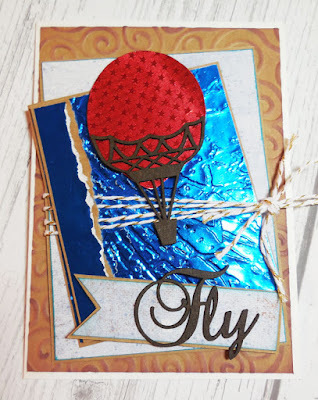 I cut a hot air balloon from Ruby/Ruby Star Struck Foiled Paper then added it to the hot air balloon basket frame and placed it over the twine. A pennant was created from cardstock and pattern paper. 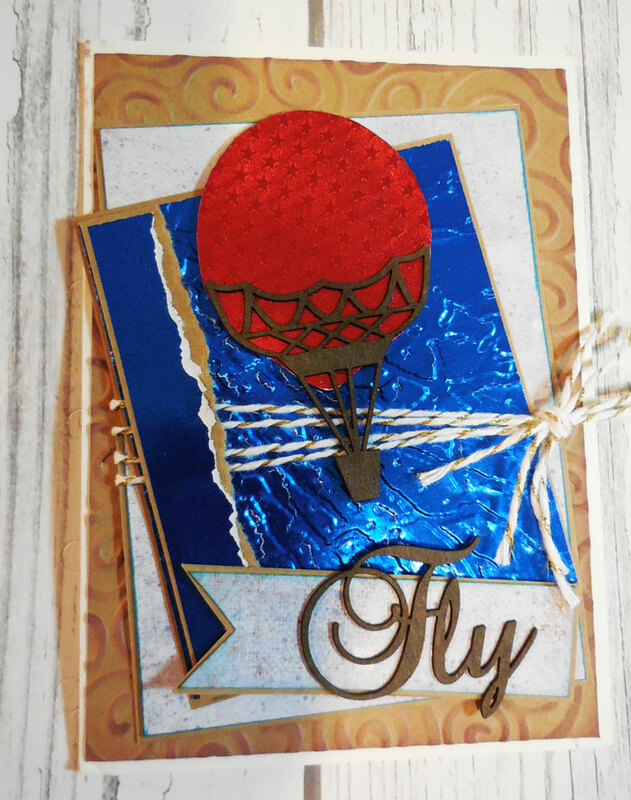 The chipboard Fly was adhered on top then added to the card on a slight angle. I just love this!! So beautifully done! !